The Appraisal Foundation recently released an update on appraisal test taking statistics over the course of last calendar year, 2018. These are successful trainees who are taking the exam to become an independent licensed or certified appraiser. This includes both commercial and residential and they all have completed their work with a supervisor, met the appraisal experience requirements, and completed their upgrade education. The number of individuals sitting for the first time for one of the three National Uniform Licensing and Certification Exams increased significantly, with the number of Millennial test takers experiencing the steepest rise among all age groups in 2018, according to data prepared exclusively for The Appraisal Foundation by PSI Services, LLC. Read the whole press release by following this link to the post on The Appraisal Foundation’s website. 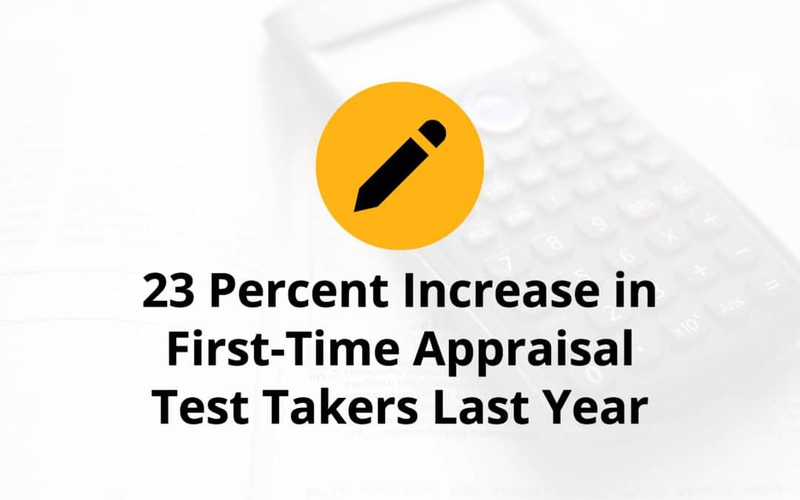 Note: A percentage jump of this magnitude shows how the current trainee-supervisor system is working to meet the increased demand for appraisal services. What will happen under the expected new system when the time under a supervisor is cut in half, the level of experience is lowered, and the education requirement is less strict? See my post for a bit more information on the new system. Are you or is someone you know looking to begin a career in appraisal? We offer our North Carolina appraisal qualifying trainee series multiple times per year across North Carolina. Learn more about our next trainee series and get details on our next series by visiting our trainee series page.